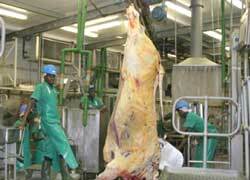 Meatco Board Chairperson Namundjebo-Tilahun, last week announced that the Minister of Agriculture, Water & Forestry Honorable John Mutorwa confirmed that Government will take 30% stake in form of equity at Meatco. “I will share with Corporation members the developments and I do this for transparency, as all these are major issues which have a material impact on you, the Meatco members”, assured Namundjebo-Tilahun. Also speaking at the AGM, Chief Executive Officer Advocate Vekuii Rukoro, highlighted the company’s performance for the financial year 2013/2014. 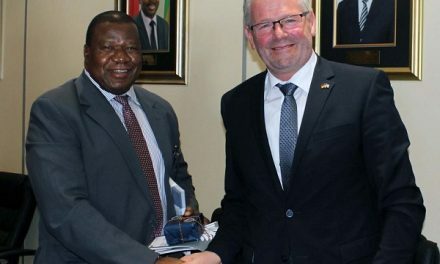 He indicated that the Corporation successfully recorded increased revenue by 14.61% mainly due to the additional Norway quota and weakening of the Namibian dollar against other foreign currencies. Rukoro also reported to the Corporation members that Meatco commenced with Backwards Integration Projects namely Meatco Owned Cattle (MoC), Contract Feeding Scheme and Feedlot expansion. Another key component highlighted by Rukoro was that, management focused on stabilizing prices during the year for more effective planning purposes. 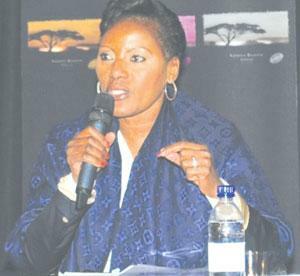 “It is thus, important to focus on declining production needs to be addressed in order to ensure efficiencies and ongoing focus on improving stakeholders relations and building mutual confidence with government, producers, employees as well as customers,” said Rukoro. In total Meatco slaughtered 116,771 (2013/14: 116,912) cattle during the reported year. Only 141 animals fewer than the previous year, representing less than a 1% decrease.